Earn $20.19 in Rewards credit (2019 points) What's This? With the PRS-4W-2, any space with a sturdy post or stud can be a workshop. 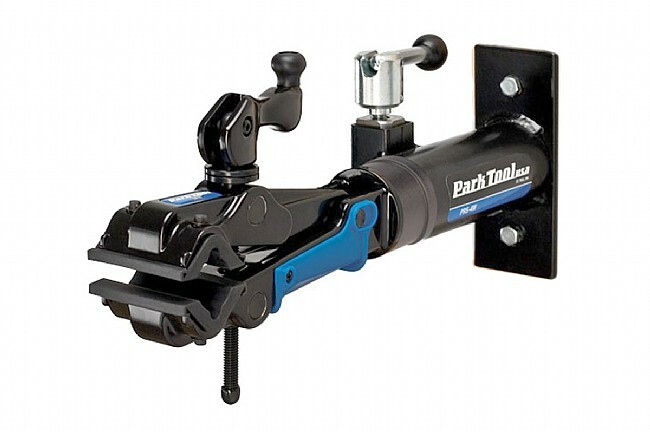 This professional quality stand from Park bolts directly to vertical surfaces, which can be especially valuable in areas where floor space is at a premium. Providing the grip is Park's 100-3D cam actuated, micro-adjustable clamp, which allows for ease of use and and a sturdy platform for all your repair needs. This clamp is exactly what I needed. I was a bit confused about how the clamping works, but easy to figure it out. It is so robust it will likley last forever.